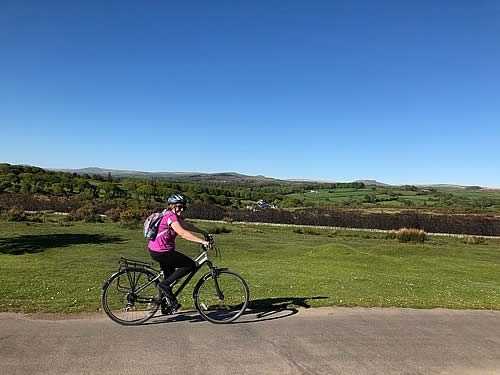 One of my favourite ways to get out and enjoy Dartmoor when the suns shining and the skies are blue, is to get out on my bike and go for a ride along one of the fantastic new cycle paths that have been created using the old railway lines that criss-cross the county. 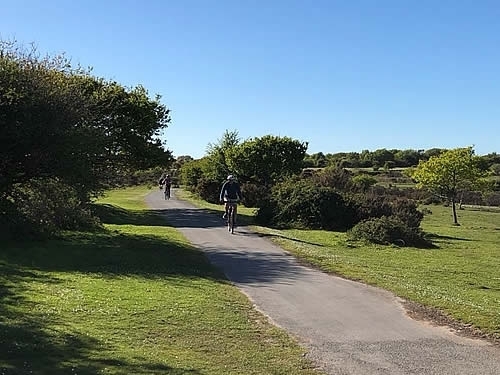 The thing I really love about the cycle paths is that because they use the old railway lines, they're really flat, so even if you're not quite Bradley Wiggins, you can still cover a good distance with ease. Another great thing is that there's usually a pub on route for a bit of liquid refreshment. On Monday it was a beautiful day, we were pretty busy early on but still wanted to make the most of the weather, so in the late afternoon we packed up the bikes and headed to Drakes trail. 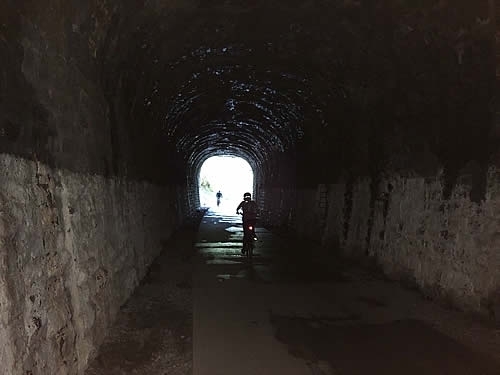 This is the section of the old railway line that runs between Tavistock and Plymouth and takes in some beautiful scenery over the moors from Yelverton to Plymouth and the valley through Grenfen to Tavistock. 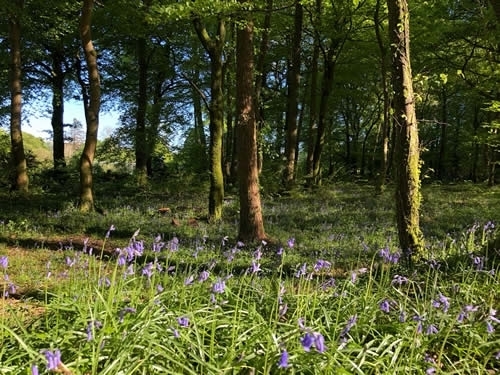 It's wonderful this time of year with the bluebells out in bloom through the woods and moors coming alive in spring. We covered the section of the track from Yelverton through to Bickleigh. 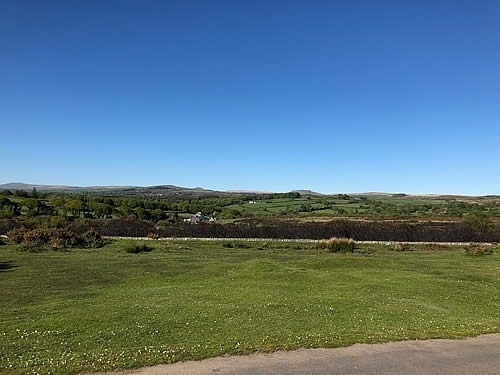 It starts in Yelverton by the church and runs over the moors to Clearbrook, before dropping into the valley and taking you through to Bickleigh. The history in this area is very interesting with various engineering works from the Victorian era and when you see how hard people used to work, dragging granite out of mines and hauling materials up from Plymouth, it makes me feel very lucky I live in this day and age. Although the cycling is pretty easy going, the Skylark Inn around halfway through the ride is still a welcome sight. It's a nice old pub with a good beer garden, good choice of local ales and a reasonably priced and pretty standard pub menu. It looks like it's a popular stop for people using the trail, so it was a good atmosphere with friendly staff. We enjoyed a nice pint in the garden before getting back on the bikes and heading for home. All in all it was a lovely end to the afternoon. It only took a couple of hours including the pub stop, so it's easily done in the evening or as part of busy stay in West Devon. 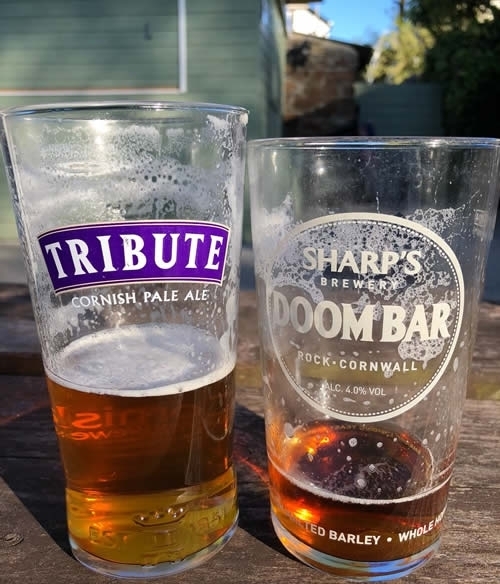 The easy cycling and great views make it a relaxing way to see a bit of Dartmoor and take in some history, with a good pub stop along the way.